St. Mary’s College students and alumni are engaged in incredible work to promote a healthier planet. This Earth Day, we’re spotlighting this through the work of Paul Stysley ’99 and Marissa Golison ’16. county still spends $100,000 a year to maintain it. In fact, St. Mary’s County has no active landfills anymore. Today, St. Andrews is one of six “convenience centers” located throughout the county used to aggregate both commercial and household waste before it is shipped to nearby counties to be disposed of. 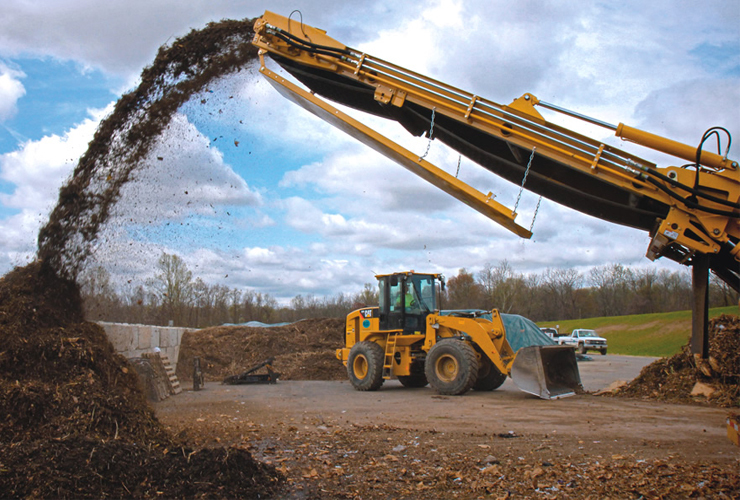 For every ton of waste the county exports, it pays a “tipping fee” — so it has a vested interest in trying to reduce waste through recycling, waste-to-energy programs, and soon, composting. Marissa Golison (’16), who majors in economics with a minor in environmental studies, has been interning this year at the St. Mary’s County Public Works Department under the supervision of the Solid Waste and Recycling Manger, Nick Zurkan. Three days each week, she compiles reports on the county’s diversion and recycling rates for reporting purposes. “We don’t have the final data for 2014 or 2015 yet, but for 2013 our diversion rate was 54.63%,” Golison reports. “This means that as a county, we are able to keep 54.63% of our waste out of the landfills.” That’s not bad compared to the national average of 35%, but not as good as cities like San Francisco and Seattle, that have diversion statistics closer to 80%. The real question is how such a program could be implemented, and that is where Golison’s research comes in. “There are currently two common types of commercial composting systems,” she explains. “Windrow Turners and an aerated static pile, which I what I am proposing,” she continues. “In this second method, food and yard waste are ground together and placed in a pile with a woodchip lining. Pipes that push or pull air through the material above make sure oxygen is circulating. Then the pile is covered with either more woodchips or gortex covers, which are more expensive, but potentially more efficient. To keep costs down, the county would rent the grinder and use other equipment already available on site at the St. Andrews Convenience Center. Each compost pile typically takes six weeks to turn waste into usable material. Because the efficiency of the system has many variables, Golison is proposing that the county adopt a pilot program testing the two cover methods before investing in a larger scale system. 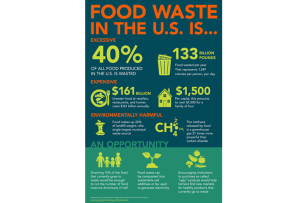 As for the waste, the county would collect food scraps from volunteer commercial businesses including restaurants and grocery stores. This would be the first curbside pickup program in the area. Golison expects the county could collect and process up to 10,000 tons of compostable waste a year. While she is still running the numbers, Golison says all signs point to viability for composting in the county. She believes the system could get to breakeven fairly quickly, considering the tipping fees and hauling cost savings, rather than for the potential income to be generated from selling the compost itself. In fact, composted material typically retails for $50+ a ton. Her findings will be considered by the County Commission of the Environment next year, and the county’s commercial composting pilot program could go into effect as early as 2018. In addition to the economic benefits for the county, Golison points out that there are a myriad of health and environmental benefits to implementing such a program. 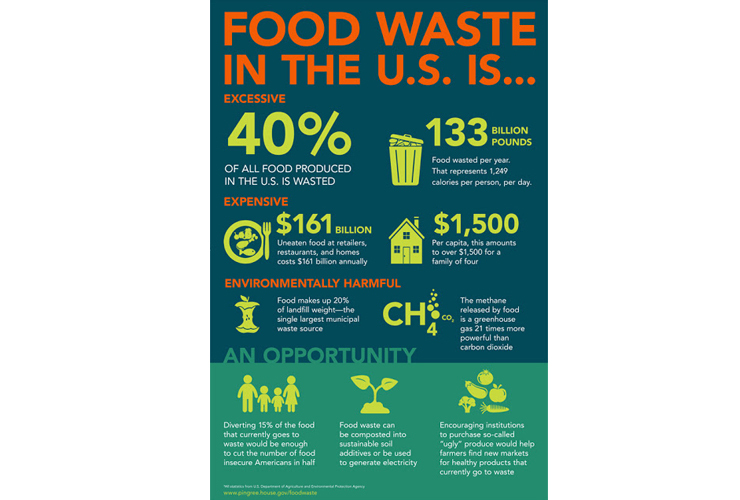 For example, food waste in landfills turns into methane gas, which is 21 times more potent than CO2 in terms of its impact on climate change. There are also the social and ethical issues associated with waste management, which Golison explored in Professor Barry Muchnick’s Environmental Perspectives class last year, which got her interested in the topic to begin with. “I did not have to do an SMP, but I am so glad I did,” Golison concludes. “The experience has made me a better writer, researcher and thinker. Nothing in my academic experience has compared to spending a year working on this project. In addition to feeling like I am making a real difference, it made me realize that economic research and analysis is a good career fit for me.” Golison plans to continue doing environmental economic analysis as a consultant when she graduates.